Rokill’s Southern Tour carrying out Bed Bug Seminars in an attempt to educate and inform Hoteliers has proven to be a great success. 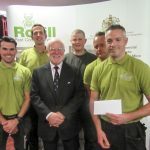 Feedback from Rokill’s Bed Bug Seminars included “extremely informative”, “a great help”, “beneficial to my hotel group”, “I’m glad I found out about this now rather than waiting for an infestation”, “I didn’t realise they were becoming such an issue within the industry”. Some had experience of bed bugs and the dire consequences they can have on a hotel’s business, especially with customers being able to post comments on web sites. All present left the seminar with a greater understanding of what bed bugs are, why they are important, procedures to follow in their control and the challenges faced by both the Hotel industry and the Pest Control Industry. 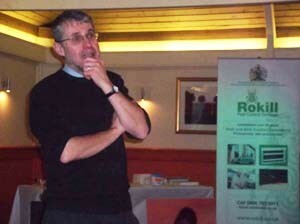 Clive Boase, widely recognised as THE bed bug expert within the UK passed on his experience to all present.